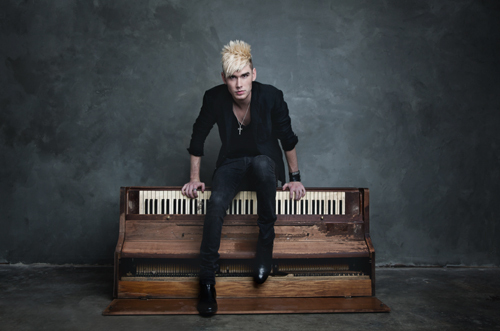 Just take one look at Colton Dixon's hair and you know he's different. The front portion is long and almost covers his right eye, the sides are shaven, and the top is a giant field of blond spikes. It's quite impressive. To look at Dixon, it's obvious he's a rock star. But to listen to him, it's clear he's something else - something more. Now, if that gives you pause - if you think "rock star" and "Christian" are as compatible as "oxy" and "moron" - then consider this: Colton was a finalist on "American Idol" and soundly endorsed by iconic Aerosmith frontman Steven Tyler. Follicles, then, notwithstanding, what really makes Dixon stand out from the crowd is that he is a rock star, and he is a Christian. He is what the faith-based genre has been in need of for years: a musician with mainstream-level talent and appeal, and out-in-the-open, Bible-based songs and lyrics. "I remember growing up listening to Christian music," Dixon said in a phone interview. "When I started making a conscious decision to choose music, I just really loved Christian music. I loved that feeling of, I don't know ... it just kind of made me feel better, you know, instead of some songs bringing me down, or whatever. I enjoyed that, first of all, but then started diving into the message and it lined up with where I was. I loved that, as well. "Whenever I felt that call on my life, at 13, I was singing a Christian song, 'I Can Only Imagine' by Mercy Me. I just remember thinking, it's like, 'OK, this is what I'm supposed to do.' "
Dixon auditioned for "American Idol" in season 10, but failed to make the final cut. In season 11, he accompanied his sister, Schyler, to an audition. The judges remembered Dixon and asked him to give an impromptu performance. He did; they sent him to Hollywood, and he quickly became a frontrunner on, what was at that time, the biggest television show in the world. "I remember growing up and watching the show and thinking, 'Man, it'd be really cool to be on there,' " Dixon said. "I'm sure that's what most people think. Once you get past the excitement of making it based on your voice or whatever, it's like, 'OK, I could be here to get the glory myself, or I could do something totally for the kingdom, and just reflect all this attention and focus it on the Lord.' That's kind of the realization I had pretty early on. It was just like, 'Man, this could be really huge. This could lead a lot of people to the Lord.' "
Following his time on "American Idol," Dixon recorded his debut album, the aptly titled "A Messenger." "I remember after the 'Idol' process just praying really hard if God opened this mainstream door to bring faith-based music to mainstream music, or if he put me on that platform to bring some mainstream fans to Christian music. I ultimately came to the conclusion that he would reveal himself in the writing sessions that I was going to have at the time. And 'You Are' was one of the songs that I completed in one of those writing sessions. And I just remember thinking and feeling, it's like, 'OK, this is it. This is what I wanted to be.' I just wanted to make sure it lined up with what God wanted," Dixon said. Dixon's goal in making "A Messenger" was to imitate the original news-bearer. "I think there are Christian artists in bands who are set on just challenging the church and writing for the church, and that's awesome. We need that. But we also need people to take their music and be going out into the world. That's what Jesus did, ultimately," Dixon said. "He wasn't hanging out with all of his church friends. He was out hanging with the prostitutes and the drinkers and you name it. It's like, man, he was really trying to reach that lost world. "The music that's challenging the church sounds a lot different from the music that's trying to reach that lost world - the lost generation. You have artists like Casting Crowns who are so good at what they do and, man, they will really rock my world when it comes to diving into the word. But then you have bands like Switchfoot who aren't as specific or detailed with their faith, but they're still challenging non-believers to think about their lives or what the bigger picture is. "I like to put myself somewhere in the middle as far as what I'm trying to do." Dixon's faith, mixed with his solid rock chops and super-energetic live show, makes him a favorite with believers and, more importantly, with non-believers, too. "Jesus wasn't hanging out with the church folks. He was out trying to win the lost over," Dixon said. "I think that's what we're called to do. It's what my whole record is about - it's about being a messenger. Taking this message out into the world. And hopefully I've been able to do both. From what I've seen, that's what it's been doing. That was my goal." Dixon performs Wednesday, Aug. 7, at Kingdom Bound's PAC stage inside Darien Lake. It's hard to imagine for KING & COUNTRY's Luke and Joel Smallbone, when growing up in Australia and then Tennessee, factored Buffalo into their future plans. But Western New York, surprisingly, has become a strong Christian music market, and Kingdom Bound a can't-miss concert venue. "Most of the time when you go north, the less popular Christian radio is, which means less popular Christian artists," Luke said in a phone interview. "The fact that Buffalo is one of those kind of areas where it's been very successful there for a number of years is very unique. Honestly, it's probably purely because of Kingdom Bound. ... That, probably, has had the greatest impact in that area. Without Kingdom Bound, you probably would be just like the rest of the northeast, where there isn't a whole lot that goes on in Christian music and Christian radio. "To have Buffalo as that special town - hey, we're cool with that." Last year, for KING & COUNTRY made their debut at Kingdom Bound. After performing as backup and then guest singers for their sister, Rebecca St. James, Luke and Joel finally claimed one of the headlining spots. "It was fantastic," Luke said. "It was really special." "The funny thing about performing at Kingdom Bound is we've been doing that event for a number of years. So, to be able to have our own little set and all was really special - especially when we've been going for probably 15 years off and on," he added. Buffalo is just one of many places Luke and Joel have toured in the past 18 months in support of their critically acclaimed and award-winning debut album, "Crave." "It has been the busiest years of my life, hands down," Luke said. "It has been crazy, crazy busy. They've also been the most fulfilling years of my life. I've never worked harder. I've never struggled, actually, with certain things as much as I have, as far as just being exhausted and trying to find time and all that. But at the same time, just to see kind of God's hand on different things and how things have worked out, the different opportunities that we've been given - it's been a journey that we probably can't take a whole lot of credit for. "There's something really nice about that, because if you think it's because of your big things or what you're good at that makes you successful, that can be a dangerous road. Truly we look at these opportunities as God-given opportunities, and they don't happen all the time. And we see many artists in our situation that have not been given those. And so we cherish them. We respect them. And we try to do as much as we can with them." One of those opportunities was an appearance on "The Tonight Show with Jay Leno." "Man, it was unbelievable," Luke said. While success came early for Luke and Joel with for KING & COUNTRY, that doesn't mean it happened overnight. In truth, nothing about the brothers' rise has been fast or easy. "We grew up in the music industry," Luke said. "We grew up doing music. I was a lighting designer for a while, and my brother, Joel, was a stage manager, and we both did background vocals and different things. Honestly, the best thing that ever happened to us was that everything was really, really hard. "You know, Joel and I have been working on music for eight years. People would've thought, 'Oh, because they're related to Rebecca ... they would be able to get record deals.' ... It was the opposite. It was harder, because people thought there's no way lighting can strike twice. "I think it's probably the fact that everything was hard for us that has actually helped us be successful." 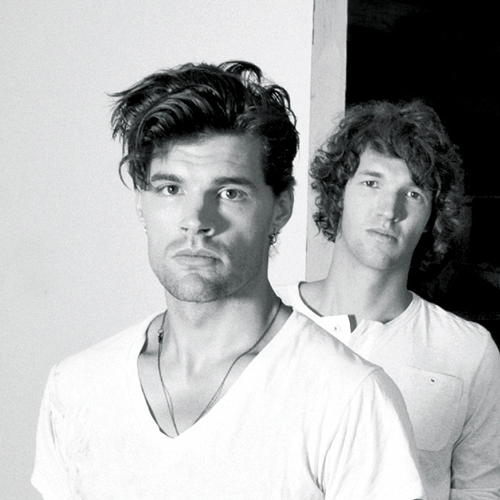 for KING & COUNTRY will perform Tuesday, Aug. 6, at Kingdom Bound's PAC Stage. "Our hope is for it to be high energy," Luke said. "We try to make it to where it's an entertaining show, to where when we do speak, and when we talk about the things that really matter, that the youth out there listen. Because they go, 'Oh, man, they just did all this crazy stuff. Now they're there talking about respect and honor in relationships and these types of things,' " he added. "Our hope is that it will be high energy, entertaining, but also with a significant message." Kingdom Bound takes place at Darien Lake. •For more information on Kingdom Bound, visit www.kingdombound.org.